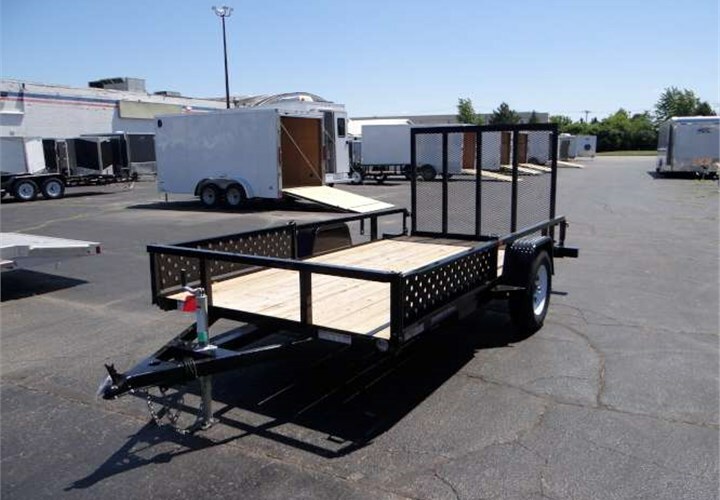 This is a very nice 6' x 12’ utility trailer with a rear ramp gate, 5-foot side storing ramps, and an 11" railing. 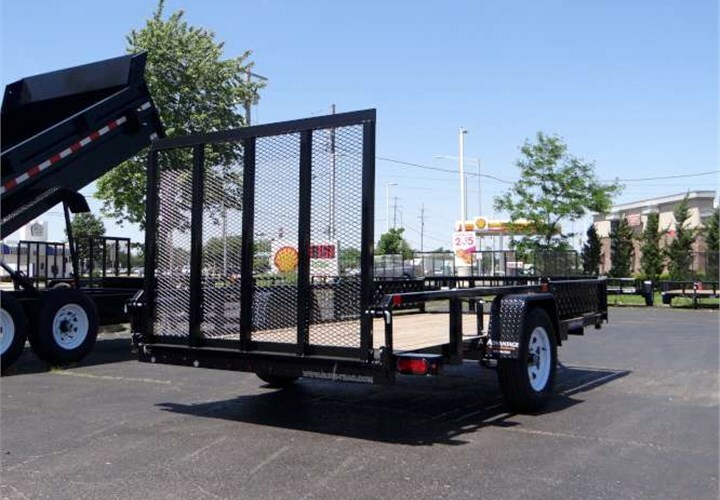 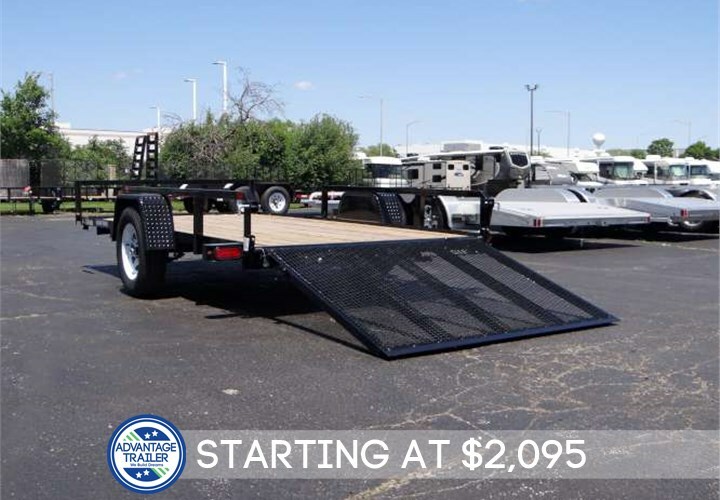 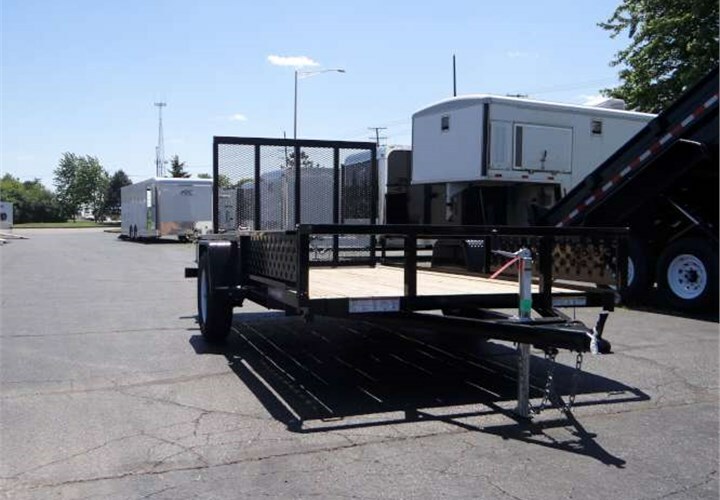 We have a wide selection of utility trailers. 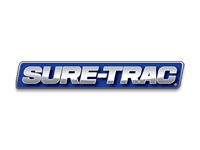 Please give us a call and we will find the right one for you.